The minute I realized this book was about a vineyard and wine, I was sold. What girl doesn’t like to read about wine? Georgia Ford seems to have it all: A gorgeous British fiance, a great job that will be transferring her to London, a wonderful family. But a week before her wedding, it all seems to fall apart as Georgia learns everyone she loves has been keeping secrets from her. 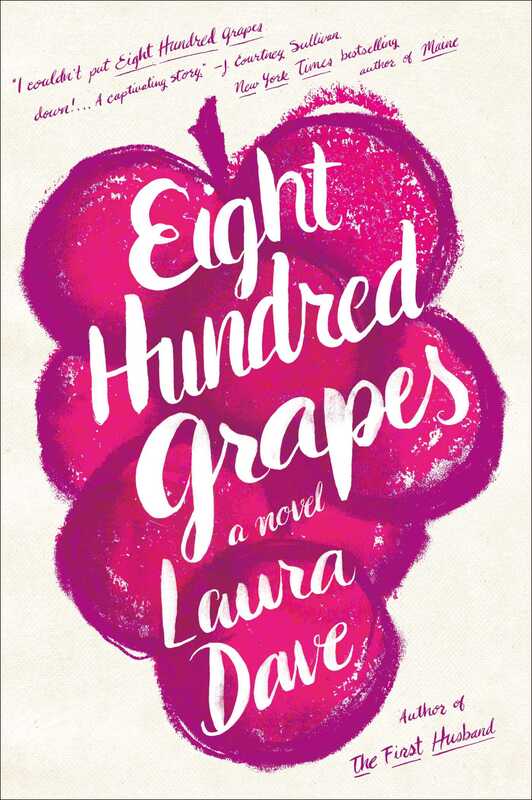 Eight Hundred Grapes is not my typical read – I don’t read a lot of “fluff” fiction. Every once in a while I want something lighter and fun, and that’s usually when I go for the YA novels (even though they often tend to be just as ansgty, – if not more so – than the adult fiction I read). So reading this novel was somewhat of a new experience for me. The book is well-written and interesting; Laura Dave’s style keeps the pace of the novel moving and makes the book hard to put down. I especially loved how Dave structured her first chapter; by the end of chapter one I was hooked and really wanted to know the rest of the story. Throughout the book Dave frequently starts a chapter by describing some aspect of the winemaking process, which added an interesting element to the novel. She also inserts flashbacks periodically that shed a little more light on Georgia’s parents, and their motivations throughout the book. Technically the entire book is a flashback as it begins six months ago; the story is told as Georgia’s recollection of the events of that time, which allows for occasional foreshadowing. I’m not a big fan of heavy-handed foreshadowing, but Dave’s technique and subtle and this element is used just right. This structure also helped to add an extra layer to the novel and keep it interesting. Reading this book felt like I was reading a novelization of a Hallmark movie. Not that I mean that in a bad way – what girl doesn’t like curling up with a cheerful Hallmark movie that you know is ultimately going to have a happy ending? My favorite Christmas tradition is watching as many of those movies as possible. That comparison is simply the best way I can think to describe this book. All the typical characters are present, the expected conflicts arise, and I knew early on exactly how the book was going to end. However, the predictability of the plot didn’t take away from the story itself any more than it would one of those chick flicks if you happen to be a fan, because the journey to get to the ending was what mattered. I will say if you don’t like those types of movies or that kind of plot, this might not be the book for you. Overall, I think this book would be a perfect beach or vacation read. It’s a quick, easy read that will likely have you craving a good glass of wine before you’re finished. In all honesty, if it hadn’t been for the wine aspect of this book I probably never would have picked it up, but now I’m glad I did. Eight Hundred Grapes is the first ARC on my ARC pile to be read as part of ARC August hosted by Read.Sleep.Repeat. To see what other ARCs I plan to read this month check out my initial post here.